There’s a thin line between genius and madness, and nobody who straddles it with more panache than Elon Musk. 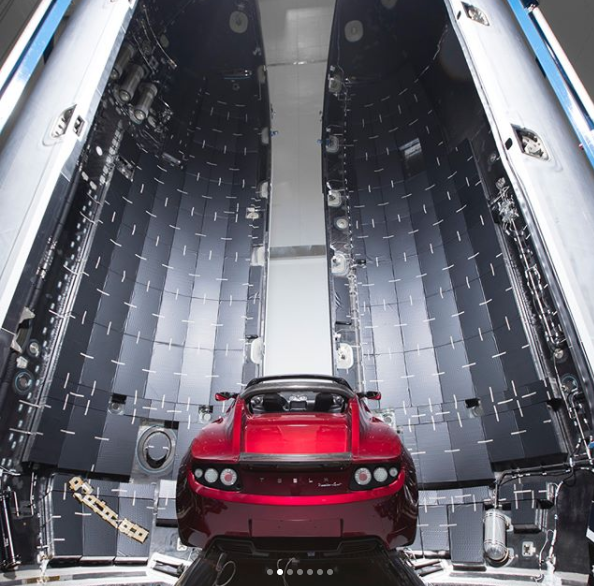 A few weeks ago, Musk had seemingly joked on Twitter that the next payload for the Falcon Heavy will be his personal Tesla Roadster. The car would be playing David Bowie’s Space Oddity, and once jettisoned by the rocket, would orbit around Mars for the next billion years or so. Everyone had assumed it was a joke, a clever mash up the two flagship products of his two successful companies. Nobody sends a car into orbit just for the kicks of having Space Oddity soundlessly play in space for the next billion years. 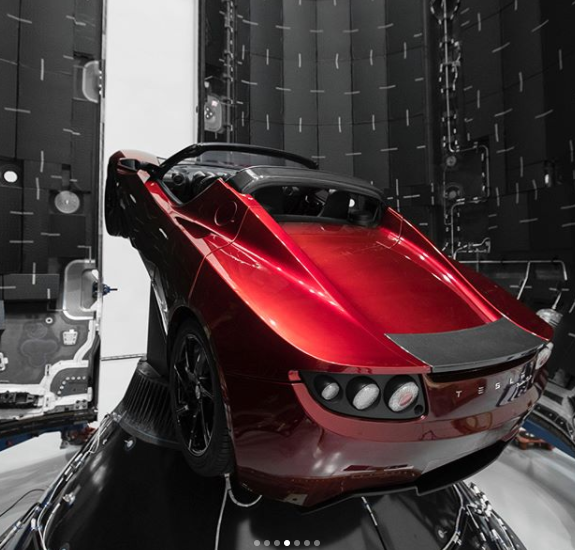 But nobody is Elon Musk either, because Musk has just shared pictures from the SpaceX facility showing a red Tesla being strapped on to the Falcon Heavy. This is, of course, completely bonkers. Space programs were usually the domain of stern scientists who wear lab coats and shroud their programs in secrecy, but Elon Musk has changed all that. Not only is he announcing his rockets’ payloads on Twitter, but his special brand of whimsy drawing attention to the limitless possibilities of space travel like nothing else. Musk is making space cool again. And if it takes sacrificing a Tesla so that it can revolve around Mars till the end of time, so be it. Godspeed, little red Tesla Roadster. We’ll be playing Space Oddity here from earth to speed you along.